Not to be confused with ketchup. Gosh, where does one begin? We’re in the thralls of our last major phase of treatment with Gabriel. Next week we get into the super nasty part, but next week, we’re that much closer to the home stretch. Honestly, over these past few weeks, while there isn’t a day that goes by that I don’t remember that Gabriel has cancer and I worry and think about all of the implications for today, tomorrow and into the future; at the same time our existence has finally not centered around cancer. We’ve actually had the opportunity to have some of the elements of our normal lives. Granted, our new normal is a extremely different reality than a year ago; we have been able to just relax and go on with those elements of our lives that were there pre-cancer. Don’t get us wrong, not a day goes by that we don’t know that we have child with cancer, but we just haven’t had to have our guard up as much. Sadly, that all came to a rapid end on Tuesday this week. Gabriel was scheduled to begin one of his five day hospital admissions this weekend for getting the drug that is part of the clinical study, Nelarabine. In order for him to start this phase of his treatment, his ANC has to be at least 750. So, Tuesday I make the routine phone call to the Oakland oncology clinic to do “yada yada, yah his counts are fine, bla bla bla” call. When Connie, Gabe’s nurse practitioner called me back and said, “oh, no his counts aren’t good” I was floored, literally. Actually, literally, I said in a most dramatic manner (think Oreo cookie commercial) “SHUT UP!” Gabriel’s counts were only 344! Remember, if his counts are under 500 his immune system is extremely compromised. This was a tremendous shock to Chet and I. Gabriel has been just acting amazing lately – like the awesome little boy we know and love. He hasn’t given us any indication that his counts had come down. It makes sense though as his hemoglobin (red blood cells) and platelets haven’t dropped as much as his white blood cell count (the immune system). So, because in the past when his ANC has dropped, we’ve suspected it because he has been more lethargic and bruised more easily because his platelets and hemoglobin dropped along with his white blood cell count and ANC. But, while we were able to be “normal” we just enjoyed some comforts of life. 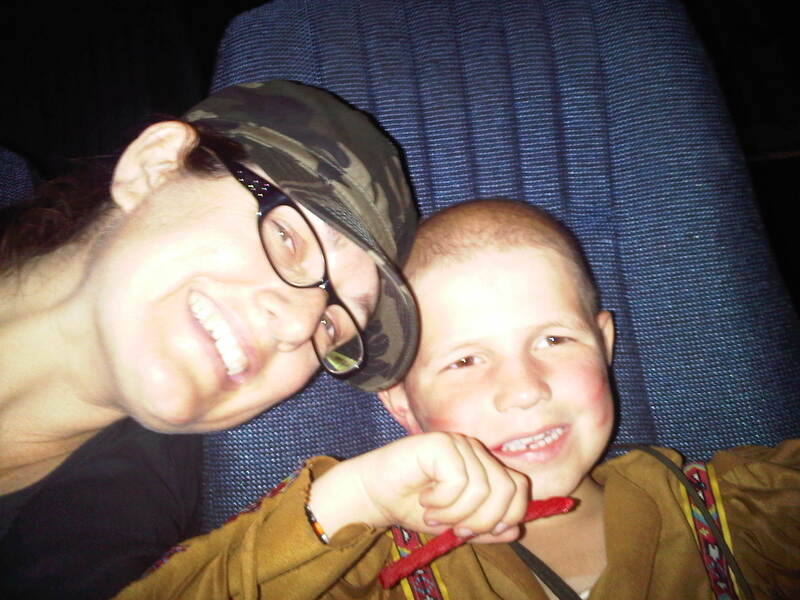 Gabriel and I went out and caught a movie – Cars 2. It was AWESOME. Okay, it was awesome for me, cool for Gabriel. He was very uncomfortable at the movie theater. Sadly, we’ve created some paranoid feelings due to our crazy protective natures. But, heck, that crazy protective nature has saved us a lot of grief these past several months, so it is what it is. Anyway, Gabriel is now scheduled for his 5 day admission next week. Once we start that we are a mere 5 weeks away from Maintenance (assuming his counts come back up in time). And, he’ll be able to start school again this fall, though a few weeks late it looks like at this point in time. So, I’ll spend a few posts doing a whole lot of catching up here, including talking about Chet’s running (there’s three races to get everyone up to speed on), fun with Rebeka, and a few items from my own summer. Lots of love to everyone.